Because we are social animals, we tend to mistake the social activity of fighting with the self-defense mode of embodying our inner predator. I live in Boulder, Colorado. If you get into trouble socially in Boulder, all you have to say is the magic word, "sustainability." This works for all situations. If the police are trying to arrest you, just say, "sustainability," and they will let you go. If you step on someone's foot at the cafe, say "sustainability," and everyone smiles. If your dog barks at someone, if your goats get out of the yard and chew up the seats of your neighbor's convertible, if you forget a friend's birthday, just say "sustainability;" it is the universal safe word for Boulder. All advertising, marketing, education and politics uses the word "sustainability," in all situations. A week ago I arrived in Cardiff, Wales, UK, for the first Martial Arts Studies Conference. I went straight from there to teaching a two day workshop in Amsterdam with Alex Boyd. Over the next week I hope to have some time for reflection. Until then, here are some undigested bits of excitement. Paul Bowman deserves enormous credit for organizing the conference, and doing a wonderful job of it. I admit, I worried beforehand that we might have disagreements, but Paul gets my highest praise: He is the kind of guy one can disagree with and feel the bonds of sworn-brotherhood grow deeper. His character, thus set the tone for the entire conference. This is the first academic conference I have attended where everyone present had the ability to kick me in the head. This is a dream network. Martial Arts Studies--will it become a discipline or not, how about an "indiscipline?" I think the point here is that martial arts stretches the boundaries of many categories, and at the moment is in need of some working definitions. Considerations of authenticity must be included in the definition of martial arts. There is much support for the notion that dance and acting were closely related to western martial traditions. Dueling was expected to up hold standards of beauty. Do we need a theory of history? How do we know what questions to investigate? Is it enough to follow what is intreging? Probably not, we need to consider metaphors, and make lists of differing views, perspectives and conditions. Yes, theory is dangerous, it can obscure or become an obsession. Theory is powerful, we need to be able to put it down, it should not become part of our arm. Sometimes great questions seem to come from nowhere. There are Japanese Kata, that tell stories. I didn't know that before, a new subject to investigate. We need more people from the "outer edge," (that's the sharpest bit of the sword). So much of the work on Martial Arts Studies up until now has been outside of academia, those people need to be included and rewarded. I suspect this field is going to explode now because there are people out there who have been sitting on research for more than 30 years. Up until now, it has been career suicide for academics to seriously take up the study of Martial Arts. The commercial world in film, religion, and sports is a huge potential source of funding and interest. Open minded enthusiasts can accomplish a lot. Project: Understanding what sovereignty is by looking at differences in notions of individual self-defense. Shiva, lord of the dance, is the destroyer of illusion. In the South Asian world view, dance is closely related to destructive power (perhaps). "One should avoid making sweeping generalization." --a view held by people who don't seem to notice that they are in the habit of making sweeping generalizations. Better, in my view, to do it, and know you are doing it. It makes it easier to take it back later. Bruce Lee was defiantly killed by talismanic magic. Plate steal armor was easy to move in, do flips and rolls, hop fences, climb, swing, and wrestle in. It just requires wearing it a lot--some wise men tested this out. I hope this means that we stop seeing people move like stiff robots when they wear armor in the movies. And I hope we see more people wearing plate steal armor to the movies, driving google-cars and drinking coffee at Starbucks. Zhang Sanfeng texted me several times during the conference to clarify his positions. Anthropology has changed from representing (peoples, events, milieus) to making. This was obvious when I was in college, and partially accounts for me dropping out. The desexualization of confined spaces. One can not teach self-defense/counter-assault scenarios without acting, and the better the acting is--the better the training will be. There are lots of different ways of moving. What I'm provisionally calling "pure internal movement" is predicated on making clear distinctions between different types of movement. Without those distinctions there is no way to define either "pure" or "internal." Here are two distinct types of movement which have the potential to profoundly improve the way people move. 1) Predator movement is always "on" your opponent. I mean really on them, before, during, and after contact. Make them double-weighted, make them carry you. Make your mind like a dark cloud surrounding your opponent's body, shooting lightning bolts into his openings. As a predator, your opponent should smell like food, or like that first cup of coffee in the morning. And also imagine you are leaving your scent all over your opponent. Needless to say, predator movement uses all the senses. Predator movement can not be pre-set, it must be improvised. It must be immediately and continuously responsive. Predator movement can be used to control, but it is leading and initiating the action, not resisting it. In other words, using predator movement, I can move someone around in space, where ever I want them to go, but the patterns I make in space cannot be pre-set in anyway. 2) Unstoppable movement is "on" me. It uses pre-set movement patterns with resistance. When performing unstoppable movement, I do not modify the external appearance of my form or routine. Resistance must be offered by a partner, that resistance cannot be pre-set, in must be spontaneous. When performing unstoppable movement, I can be doing a form, but if my partner disconnects I will not follow him. My partner is responsible for providing spontaneous resistance against the set patterns of my movement. In this situation my partner could just disconnect and then poke me in the eye. It isn't a fighting mode. It is a way to purify the quality of one's movement. It is a testing ground. With unstoppable movement, my movement pattern is visibly predictable, my partner's is not. I don't control my partner's body in space. I am spontaneously adapting to whatever resistance she offers. That is why it is "pure" internal; on the outside I am just doing a form, but on the inside I am creative and dynamic. With unstoppable movement I can not move my partner wherever I want. I can only follow my own pre-set pattern. Both of these types of movement are key. Unfortunately, many martial artists attempt to do both types of movement at the same time. This causes both to fail. Fixed patterns of movement don't produce set responses. There is no positive value in training them that way. There are ways of moving, two-person forms, for instance, in which both people are doing, linked, pre-set movement. I like this type of practice, but it is important to understand why it fails. Don't try to do both predator and unstoppable movement at the same time--that will produce negative results; instead, change between the different types of movement, or practice in one of the two "pure" modes. Spontaneously communicating ideas, like talking to a friend in a cafe, is like predator movement, it is the perfection of mind/shen. When we communicate spontaneously we can adjust, repeat, reframe etc...as needed. Writing a book, is like unstoppable movement, it is the the perfection of form/jing. The reader offers criticism, resistance, analysis, questions, and responses. If the book is well written, all this thoughtful engagement makes the book more effective...but the words are pre-set. I just finished reading On Boxing , by Joyce Carol Oats. It is a fun read. She normally writes fiction, but this is a tribute to her life long love of boxing. Her love of boxing is in a sense a tribute to her bond with her father, who initiated her into its beauty. The old boxing adage--a truism surely untrue-- that you cannot be knocked out if you see the blow coming, and if you will yourself not to be knocked out, has its subtler, more daunting significance: nothing that happens to the boxer in the ring, including death--"his" death--is not of his own will or failure of will. The suggestion is of a world-model in which we are humanly responsible not only for our own acts but for those performed against us. And boxers have frequently displayed themselves, inside the ring and out, as characters in the literary sense of the word. Extravagant fictions without a structure to contain them. Those whose aggression is masked, or oblique or unsuccessful, will always condemn it in others. After putting both feet forward into philosophy she wanders around into the lives of boxers, and major events in boxing history. Some of the essays in this book are informative, in depth reportage, but they are also languid, timeless; as a reader one gets the sense that she deeply savors hanging out in the world of boxing. I couldn't help thinking of Elaine Scary's comment in On Beauty and Being Just that one of the errors about beauty she made in her youth was thinking that boxing was not beautiful. I wonder if Joyce Carol Oats helped change her mind? On Boxing includes a number of enticing and complex book reviews (more books added to my reading list) and she is not at all shy about discussing racism and, in the final essay, fascism. Check it out. I got excited today because I met a samisen player who was interested in playing for my fighting class in Boulder, Colorado, where I am now teaching. I got this idea that I should teach drumming and fighting together because there are so many things that tie the two together. But samisen would be really good too. I want it to be live music because that interaction between tempo and rhythm is key to working with mood and timing and letting go. I want to foster the kinesthetic conversation between freedom and chaos, order and spontaneity. I was talking to Daniel Mroz yesterday and he said that his friend who is a Beijing Opera (Jingju) master of martial arts roles made a very bold statement. He said that there is a basic movement of the whole body, making a flower with the hands, which is the master key movement out of which all other Beijing Opera movement comes. This particular movement is nearly identical to a basic movement used in Kathak (North Indian Classical Dance). It is also important in Filipino knife fighting Silat, Maija Soderholm showed it to me the other day. George Xu uses identical whole body coordination as his favorite warm-up for teaching Chen Style taijiquan but working from a horse stance. The movement is probably essential for anyone who masters handling two single edged blades at the same time. Now that I've had a day to play with it as a key concept, I'd say it is key to all Baguazhang and is very helpful to staying integrated during shaolin movement. It is not key to Liuhexinyi, but I may change my opinon on that. As an underlying integration of right to left and homo-lateral to contra-lateral symmetry it can be used as an internal measuring stick of whole body integration in almost any complex movement. I've been doing it for 25 years, but I never thought of it as a key movement before. "Diamond Body: The Origins of Invulnerability in the Chinese Martial Arts." In Perfect Bodies: Sports Medicine and Immortality. Edited by Vivienne Lo. London: British Museum, 2012. So all this is to preface that I met Adam who runs West Gate Kungfu School here in Boulder, Colorado. We hit it off right away. We both care deeply about the arts and we both see performance skills and having maximum fun as master keys of the martial arts experience. He invited me to hang out with his performing troupe the other day. I brought my instruments and accompanied their warm-up routines, which went really well, I also taught some Daoyin which they immediately wanted to teach to the kids classes. I had a great time and I have deep sense of respect for what Adam is doing. His students have a lot of talent and enthusiasm and they have some great butterfly kicks too! Butterfly kicks, by the way, use the exact same body coordination as that Vajra flower movement I was just talking about above. So I was an argument on Facebook with a Police Officer about whether or not Capoeira is utilitarian in a self-defense context. He was particularly adamant that flips are useless for fighting. I eventually got him to agree with me, which was awesome because he is obviously a really smart and experienced guy. To win the argument I went through some of the stuff you can hear in that Rory Miller talk at the top of this post. For instance, martial arts training rarely, if ever, kicks in the first time a person is in a violent situation. It is more likely that it will kick in after 3-5 violent situations. And when it finally does it can be amazing. But before that it is all conditioning and that includes what you conditioned as little kid. From a purely self-defense point of view having a lot of techniques to choose from forces a person into his or her cognitive mind which generally precipitates a whole body freeze. So one of the most important things martial artists need to train if they care about self-defense is breaking that freeze. Conditioned movements should be designed relative to what a person is likely to need. This is very different for a police officer who may have a duty to get involved, and a citizen caught in a self-defense situation. Criminals most often (this material comes from Rory Miller) attack children and women from behind, and surprise attacks are also most often from behind. The practice of doing a back flip involves moving huge amounts of momentum backwards and up. If the attacker is taller than you are, your head is going to slam into either his chin or his nose, and you will probably both end up on the ground. The motion of a back flip is actually a really good thing to condition as a response to a surprise attack from behind. In general, practices which use large amounts of momentum, practices which condition comfort and ease with flying through space are great for self-defense. Why? because of this maxim: If you are winning try to control the fight, if you are losing add chaos and momentum. If you get attacked by surprise, you are already losing, so add chaos and momentum. The practice of spinning around the room while holding on to a partner is also great conditioning, most judo classes train this a lot. Add butterfly kicks and you are doing even better, practice using those kicks off of walls and tables and you are approaching ninja territory. I learned to skateboard on steep hills in San Francisco. They are steep enough that one hardly ever needs to push off with the foot, it’s just jump on and go. Skateboards do not have speed controls. No accelerator, no brakes. How fast you are going is determined entirely by the steepness of the hill and how often one turns or slides. Of course, this being the Era of The Wimp, now’a’days some skateboards have itty-bitty wheels that keep them moving at snail like speeds. But in my day 35 miles an hour was about what one would expect to achieve if you went straight down the hill. If you were going too fast to make a turn, you just died. That seems like a pretty good introduction to a mostly unrelated subject I want to talk about. There is a common and legitimate compliant about people who practice push-hands as training for fighting. The complaint is that some techniques only seem to work when they are done slowly. Or stated another way, push-hands techniques tend to fail at higher speeds. There is a way to inoculate oneself against this problem. It is quite simple and easy to condition. Of course it has to be conditioned to function at high speeds. Normal learning and practicing won’t work unless they are put inside of a spontaneity inducing game. I’m not particularly confident that this type of kinesthetic knowledge can be communicated through a paragraph of writing, but if you already have an serious push-hands, roushou or sticky-hands practice, hopefully you can figure it out. Keep in mind this key idea: You are developing a game that conditions spontaneity such that the need to control speed is no longer a consideration. Like skateboarding, there is no accelerator and there are no brakes. Speed is determined by the depth of contact. Every martial artist has heard the expression, ‘Timing is everything!’ I’d like to discuss how people come to this conclusion and why it might be an error. I recently read the book Antifragile by Nassim Taleb , and while I believe he makes the enormous error of deciding what his preferences are in advance and then attempting to use his theory to justify them, the book none-the-less got me to think about a wide range of subjects and for that I am deeply grateful. Before we set off on our journey, here is a measurement primer in case you want to check my results. One of the things I’ve been thinking about is the importance of speed in martial arts. If we graph velocity relative to harm on an x/y axis we get an ‘S’ shape. At the bottom we of the ‘S’ we see almost no harm as velocity increases along the horizontal axis until a critical velocity is reached and then we see harm rising very fast until we get to incapacity and death which causes harm on the vertical axis of the graph to level out rather abruptly. You can’t be more harmed than dead. Harm (vertical axis) as a function of Speed (horizontal axis)The reason for this ‘S’ shape is in the equation for kinetic energy which is: half the mass times velocity squared, (0.5)mv². Because velocity is squared this formula gives us an upward moving curve of ever increasing steepness. But the beginning of the curve doesn’t increase very fast at all. That’s why if you want to make practically any martial arts technique safer you can easily remove most of the kinetic energy simply by slowing it down. In fact, this reveals a large vulnerability. If a given punch has just enough force to do me serious damage, and I can some how slow that punch down just a small amount I may be able to take away most of its kinetic energy, making it impotent. A small change creating a big effect. This is why timing is so important; without proper timing kinetic energy disappears. It is also why techniques which compromise speed are generally inferior. This leads to some interesting consideration if you practice internal martial arts slowly which we will deal with below, but first let’s look at the other part of the equation: the constant. In the equation mv² the m for mass is generally assumed to be a constant. We can see this in the equation for momentum which is: mass times velocity, mv. 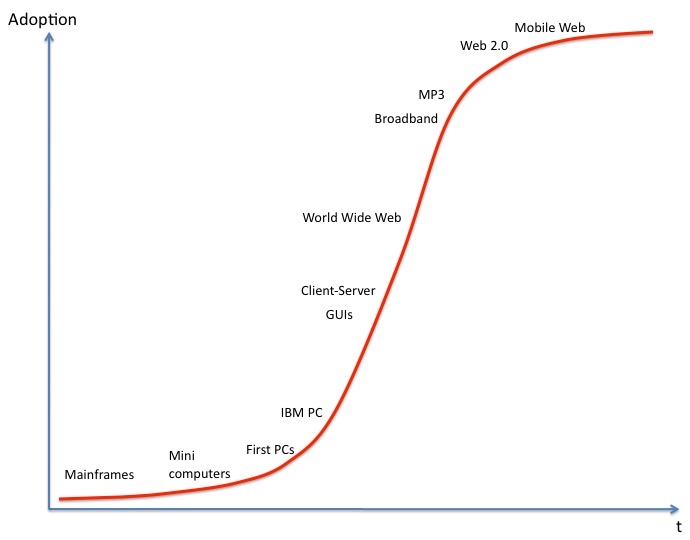 If we graph mv on an x/y axis we get a straight diagonal line, not a curve. 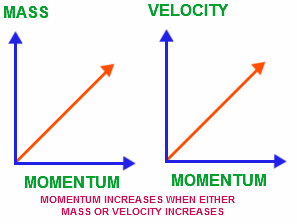 Momentum is always measured as a vector force, meaning it has a direction. Kinetic energy is measured in joules and refers to the energy released on contact, it is not a directional reference. In the equation for momentum, if I increase the mass a small amount for any given velocity, the result is simply a small increase in momentum. This is called a direct ratio. The (obvious?) implication of this is that the person with larger mass usually wins! Big guys hit that critical steep part of the harm curve at slower velocities. They also have more potential energy from the combination of weight and gravity just waiting to drop on you at any moment. There are important exceptions like blades and vulnerable areas. It doesn’t take very much kinetic energy to poke out an eye, so as long as the finger gets to the eye (position) it can do damage. Very sharp blades act on tiny surface areas allowing very small amounts of velocity to do catastrophic amounts of damage. Likewise the fast speeds attainable by the business end of a club can easily trump larger mass. Slow martial arts practice is usually very safe. But this doesn’t mean that the mind should become sedate. When we practice Taijiquan or other slow forms practices we must not give up our ability to move at maximum speed. This means that no matter how quiet your body gets in motion, your mind must be totally spatially active. During Tai Chi practice you must be able to jump away instantly in any direction as if your clothes were on fire! It is the same thing with push hands, just because you can move slowly doesn’t mean you have given up the option to move at lightning speed. In fact, to compromise your ability to move fast is a fatal error (it is described in the Tai Chi Classics as a form of “stagnation” which results from directing the qi to lead the body). So perhaps readers are thinking, bummer, I thought martial arts would give me some advantage over people bigger than me. Don’t despair. Large is of course relative but most large people have less incentive to improve their structure or their ability to attack with whole body liquid mass. Why? Because they can usually win with lousy technique. For this reason being large can be a vulnerability. If you have a mechanism for increasing your smaller mass or decreasing your opponent’s larger mass, you have a way to gain advantage. No, I don’t mean eating more fatty foods. The way to increase mass is to practice using your entire mass in all your movements. The way all internal martial arts are designed to do. This is a very “anti-fragile” way to practice because if you are good at keeping all of your mass functioning as a liquid unit you have dramatically reduced your vulnerability to changes in timing! And as everyone already knows, when fighting a dragon, cut off their tail first, then a wing, then go for a leg...or in martial arts terms use your whole body mass to attack their disconnected (lack of whole body liquid mass) arm, leg, or head. Even a 400 pound man does not have an arm as thick as my torso. So, in conclusion, reliance on timing creates a vulnerability. Methods which give up speed usually sacrifice kinetic energy too. Internal martial arts train the body to be totally quiet and the mind totally active so that maximum speed is available at all times. One of the primary reasons for training slowly is to practice mobilizing whole body liquid mass effectively bring much larger amounts of mass to the fight then is normally possible, thus creating the opportunity to defeat larger opponents. 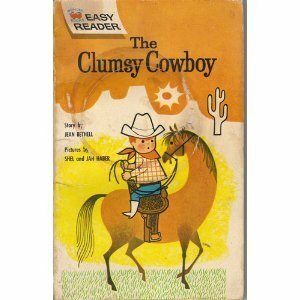 When I was a little kid I had a little book called The Clumsy Cowboy that I treasured. It was about a cowboy who couldn’t stay on his horse. After going through some trials and tribulations he eventually solves the problem by attaching himself to the saddle with a bucket of glue. No doubt, before the invention of stir-ups in the 3rd century a lot of cowboys had this problem. But even after that one can imagine that wielding a weapon from horseback ran the risk that when the weapon came into contact with a fearsome warrior the sudden shock would transfer to the rider causing him to either drop the weapon or fall off his horse. Of course, whether or not one falls off their horse also depend on what sort of weapon they are using and how they are using it. But any force transferring into the rider’s body is going to either hurt or knock him off the horse. If the force transfers to the rider’s wrists he will probably drop the weapon. The goal in such collisions of force is for the rider to transfer all the shock directly to the horse. The horse can handle it. This is clearly one of the origins of horse stance. Shaolin and Tai Chi are almost identical in the way they use horse stance. When we punch from horse stance it is essential that whatever resistance we meet is transfered to the imaginary horse-- the imaginary horse between our legs that is. Really this imaginary horse is the lower part of the dantian and at the physical level requires that we relax and expand our base, especially the underside of the thighs, to redistribute all incoming force. This can only be learned by having a teacher who understands how it works resist your punches while giving direct feedback about the quality of the punch. Although the mechanism should be the same in Shaolin and Tai Chi, meaning it could be classified as either internal or external depending I guess on how well one does it, most people who learn to punch from horse stance only learn to generate power. Horse stance is not a particularly good stance for punching, in fact, it is a bit ridiculous. To get power from a horse stance most people lean and push through their feet, which is of course wrong. The whole reason for using horse stance to train punches is so that the student can learn to hit while staying perfectly upright and simultaneously transfer all the incoming force to the horse. It’s a difficult stance, if the student can accomplish this task in horse stance then that skill will transfer easily to any other stance.